From the early decades of the Indy 500 to the modern superspeedways of NASCAR, from the 24 Hours of Le Mans sports car race to drag racing’s 4.5-second quarter-mile runs, this is the story of one company’s pursuit of performance and the glory that came with it. Full of hundreds of color and black and white photos, we hear tales of the Hemi, the Superbird, Don Garlits, Richard Petty, and many other legends. Noted author and Chrysler enthusiast Jim Schild tells the whole MOPAR story, from door-banging Trans Am racing, to land speed records on the salt flats of Bonneville, from the legendary C-300 to the road-shredding Dodge Viper. 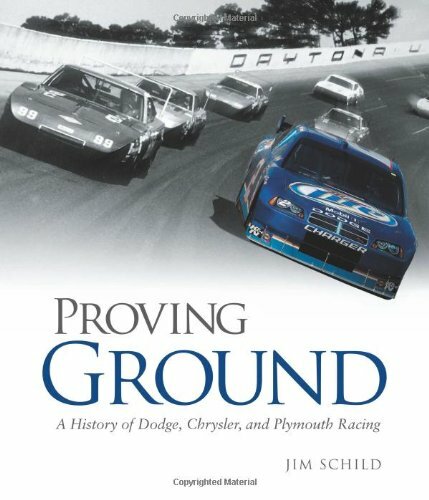 Full of fascinating history and excitement, this book is a must-have for all fans of Chrysler, Dodge, and Plymouth.